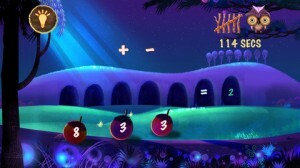 Oojle iPhone Game Review: Boost Your Math Skills! 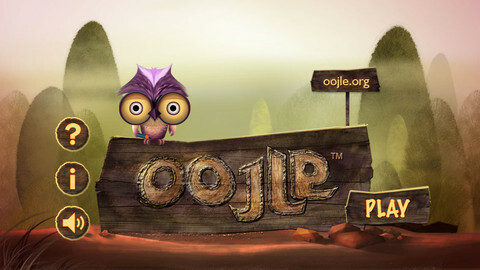 Oojle is an iPhone game developed by BC Web Wise Private Limited. 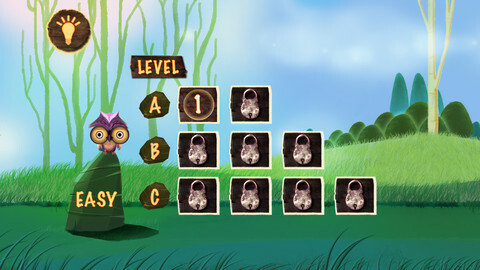 Oojle, an incredibly adorable owl, has a challenge for you. 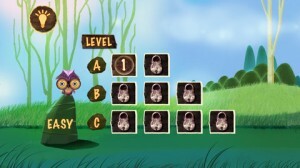 If you can answer math puzzles posed by the owl, you will be rewarded with an adorable baby hatchling! In Oojle, your job is simple: arrange numbers and operators (plus and minus signs, for example) to solve equations. Get it right on the first try, and you’ll be rewarded: get it wrong, and the sound effects will make it clear you’ve messed up. Kids and adults alike can sharpen their arithmetic skills with Easy, Medium and “Champ” level equations. 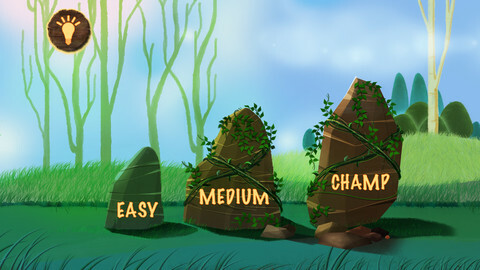 Puzzles have different time limit at different levels, and things get more tricky the longer you play! With a funky, jungle-inspired soundtrack and a unique design aesthetic, there’s a lot to like about Oojle. However, there are some annoying aspects to this app as well. For example, the animated banner ads are distracting. And if you plan to use this app as a tutoring tool for a kid with attention issues, animated banner ads can prevent them from being able to fully focus on the math problems! If you played Version 1.0 of Oojle and were frustrated by the difficulty settings in the launch version of the game, there’s some good news. The latest version of the app (Version 1.01) features an Improved medium level equation system. This is good because the old “medium” setting was a bit too tough to be considered a “true” medium. Oojle may be kind of a stupid name, but the people who play Oojle are anything but dumb. Combining attractive design and animations with clever math puzzles, Oojle is a great game to boost your math skills, or the math skills of a child in your care. Oojleis compatible with iPhone, iPod touch, and iPad. Requires iOS 4.3 or later. This app is optimized for iPhone 5.